Sea voyages have always been culinary discoveries at the highest level. 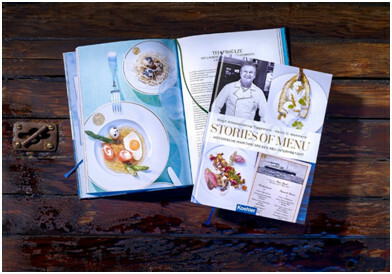 Cookbook author Birgit Altendeitering-Tiggemann does not only show a selection of these special historical menus, but also provides interesting stories that illustrate the background of the particular voyage. The lavish, multi-course menus are created by German top chef Heinz O. Wehmann and photographed by photographer Michael Holz from Hamburg. 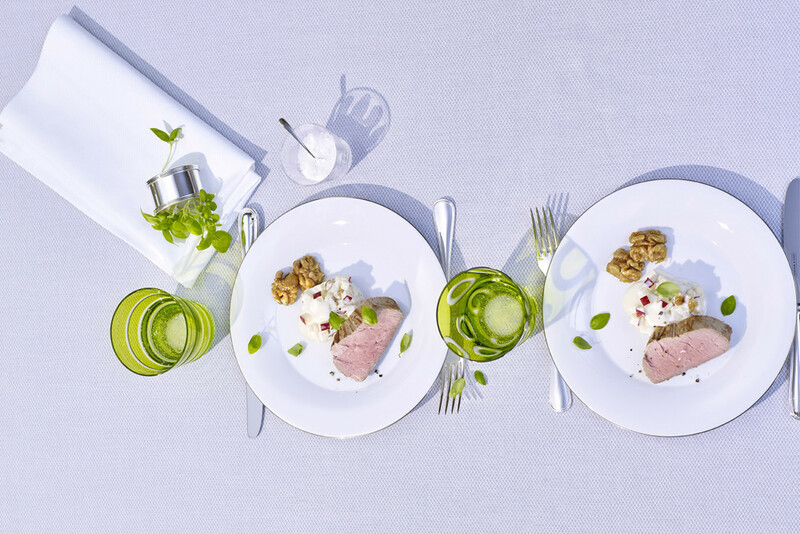 All dishes are presented on tableware from Königliche Porzellan-Manufaktur Berlin, and the cutlery is provided by Silberwarenmanufaktur Koch & Bergfeld. Our Rotter tumblers add a touch of colour!